There’s a certain elegance in the the earliest typewriters– all of that mechanical complexity wrestled into utility. 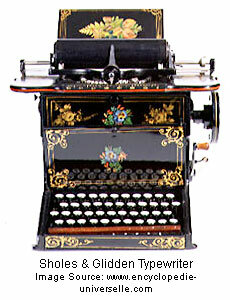 The first commercially successful typewriter– the “Sholes & Glidden Type Writer”– was brought to market in 1874 by Christopher Lathem Sholes, with backing from Carlos Glidden and manufacturing support by Remington & Sons. The lure of the clear communications (and the market it could create) made possible by typewriters attracted inventors and tinkers by the dozens. 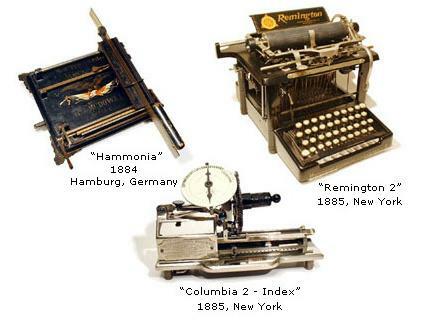 Over the next 25 years, dozens of variations were tried (e.g., curved keyboards, double keyboards, no keyboards…) were tired; but by the turn of the Twentieth Century, the basic parameters of the typewriter-as-our-parents-knew-them were settling into place. As we limber our fingers, we might might wish an animated “Happy Birthday” to Ub Iwerks, who was born on this date in 1901. Iwerks met Walt Disney when they were teenagers, working together at a Kansas City art studio. 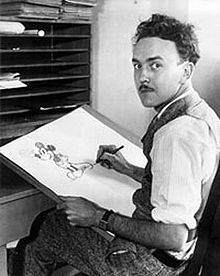 Iwerks followed Disney to California, and spent most of his career as one of Disney’s lead animators (though Iwerks did do stints at MGM and Warner Bros.).